and I am a Home Stager here in Austin Tx that works with home owners and realtors to help stage their homes and real estate listings for sale. Staging homes is the art of professionally preparing your listing or house for sale. Staging highlights the home's best features and helps the buyers see themselves and their furnishings in the home. 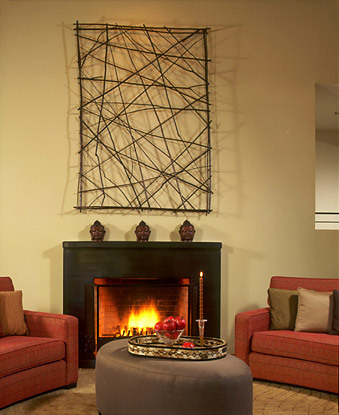 Staging sets the scene throughout the house to create immediate buyer interest in your property. The best way to get top dollar and sell your home quickly is to price it right and stage it great. The investment in staging should always be less than the first price reduction. "As a professional home stager I am experienced in the art of preparing homes for resale. I work with the flow of a home, eliminate clutter, edit and arrange furniture, and even assist in enhancing curb-appeal. With my aid as a professional home stager, your house can make a notable first impression on potential homebuyers." With a critical eye I evaluate the inside and outside of your home and outline a detailed series of recommendations and actions that should take place prior to putting your house on the market for sale. I thoroughly walk through your home with you and while I am there in detail discuss my recommendations. Immediately, generally the next day, I will provide you and realtor a written staging summary report detailing the notes taken during the consultation. Using my accessories, I will accent the home's features, draw the eye of the customer to areas of the home we want them to focus on. Accessory staging does not include large furniture pieces, but it does include PLENTY of my beautiful accessories (artwork to accent the home’s features for the living room, kitchen, master bathroom, secondary bathrooms, dining room, powder room and a console table with lamp for setting up brochures in the living room or entry). Relate this service to what you might see in a shop window, a small extensive display that highlights a certain space. With the use of rental furniture and my accessories I will stage your vacant home's rooms like the dining room, living room and bedroom with rented furniture. All of the rooms of the house will benefit from our attractive accessories. My Vacant Home Staging Service consists of my Vacant Accessory Home Staging Service with the addition of rented large furniture pieces. Why Home Staging Works : People imagine they can look past ugly decor or empty rooms and see potential, but usually they can’t! That’s why successful builders use Model Homes and Model Suites to sell their properties. Savvy home sellers realize that creating a show home environment will entice buyers.People shop with logic and buy on emotion. Home buyers start house hunting with a logical list of criteria, but the home they actually buy is chosen largely by emotion. Remember back to the last time you went house hunting. You dragged yourself through 6 houses in one day. The listings all sound great. With each one you have renewed hope that you might actually be able to find something you love and that you can afford.But with each new stop, your disappointment and frustration grew. “What were they thinking?” you ask the agent cringing at the decor, the smell, the clutter. Then it happens! You drive up to a house that looks like a home before you’ve even stepped out of the car. You enter and within minutes decide, “this is home!” That’s what I can do for you with my Home Staging Services. 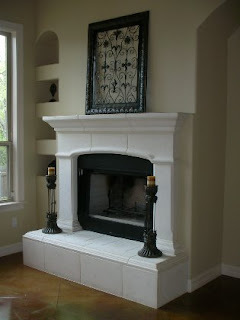 I will decorate your property with the needs and expectations of real estate buyers in mind. I will set the scene for potential buyers to walk into your house and have that “this is home” feeling. Message from Pop-Decor's Home Staging Services in Austin Texas TX : If you are a real estate agent in Austin TX Texas that provides a home listing service for your clients, Pop-Decor could prove to be a worthy addition to your listing service package. In Austin Texas Pop-Decor currently provides home staging services to many of the Austin Texas TX area's real estate offices. Offering home staging consultations to your Austin TX clients is a great way to differentiate yourself in the Austin Texas TX real estate marketplace. Pop-Decor's home staging services is a great way to differentiate yourself from other real estate listing agencies that offer home staging, as Pop-Decors home staging services are the best available.